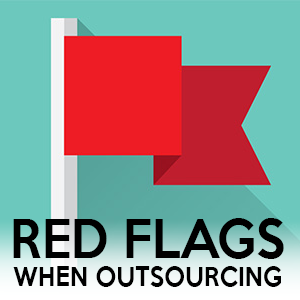 This week I share the “Red Flags” when finding people to work with/outsourcing. Why hello everybody. This is Adam Silver, the host of the Kitchen Sink WP Podcast. Thanks for being here. Let's get started. All right. Upcoming events. This week coming up we have WordCamp Denmark and WordCamp Calgary, two WordCamps not in the United States. They are not here at all. WordCamp Calgary is … Actually, Denmark first, is the 20th and 29th. Calgary is also the 20th, 29th. Let's see. Any tickets left at these? Let's take a look here. Calgary has tickets left. 29 as I'm recording, and I'm recording this Sunday afternoon, so by the time you hear this, there should be a few left, I would imagine. As far as Denmark, any tickets here, I don't … Let's see. Can I even see this in the English language? Can I translate this? I cannot. My translation is turned off, so I don't know if there are tickets. Program? I'm trying to figure out … Why won't this translate? Don't know, but take a look at the website, I'll link to it in the show notes, and if you're in those areas, or nearby, by all means, go. Denmark would be awesome. I'd love to go to Denmark. I have a passport, I can go if someone wants me to come out. Anyway, all right so that's checked. Check those out. Moving right along, segment one: In the News. Two things here. Open Sans font is to be dropped from WordPress 4.6. There was an article on that. I'm not sure what that means to most. It means not a whole lot to me. I think it's just a matter of having Google fonts and fonts loaded from other resources is easier and faster now than it was in core. Open Sans font will be dropped from 4.6. What else? Also, there is a new recommended hosts list that's finally been replaced over on WordPress.org. There's also some drama with that, but I'm nor here nor there on that. I don't want to get into it. I'm still a fan of A2 hosting. That's what I've been using and recommending right now. Go ahead and check them out. If you use Kitchen Sink WP, you actually get a discount of 51% for hosting. The other hosting companies, just to be transparent here, Bluehost, DreamHost, Flywheel, and SiteGround are all the list that's been updated most recently. WP Tavern had an article on the drama. If you want to go find that, great. I'm not going to link to it, actually, but I did link to the actual list. Once again, I like A2 Hosting. Corey, and Ben, and those guys over there are good to me, and they're good to the people I refer. Check them out. A2 Hosting. They don't even sponsor this episode and I still want to talk about them. That's how much I like them. All right. What else going on this week? Oh, actually, speaking of sponsors, before we move on to segment two. This week's sponsor is actually FreshBooks. Once again, I'm just going to tell it how it is. It makes sending invoices, tracking time, manning expenses, and getting paid online super, super, super simple. It really is. I'm digging it. I just added another client to it recently and super easy. I have, I think I've actually maxed … I'm almost maxed out on the amounts of clients I have for what I pay, so I'm pretty close to having to go to the next level up, which is fine. It's the cost of the business. It's an investment in what I do. Makes sense. I can always delete and then archive a client, and then add a new one, and bring it back. That's fine if you're doing one or two here, but when you have enough clients, it just makes sense. Move up. Step up, and use FreshBooks the proper way. You can start today for free. You can go to kitchensinkwp.com/freshbooks, get a free account, 45-day trial, and check them out. Again, thanks to FreshBooks for sponsoring this week's episode. Moving right along here. Segment two. Here are some red flags on working with developers, designers. If you do work, or you work in the workplace, and you want to hire someone, here's some red flags. It just depends. In the WordPress space in general. Here's the back story. Last week I received a phone call from a guy who had emailed me about a year earlier. I took the call, and he had some WordPress development questions last year. I gave him some information via email, pricing, I never heard back. This time, he calls me instead of the email. He was in a bit of a quandry. He had invested some money in working with someone else and was uncertain what to do with his current situation. I'll explain it to you in a second here. After listening to his story, I realized I had to share it with you, the listeners, without any names involved, about the situation and the red flags that, right away, popped up to me. There's about seven of them. Beware of these things before you take on any work as a developer or designer, or even if you are offering services, or you're hiring somebody. It goes kind of both ways. Because it can happen either way. If you're working with clients you want to make sure certain things are beneficial to both parties. Keep that in mind. This is from the perspective of, if you're going to hire somebody else to help you out in whatever you're doing. If you're going to outsource some of the work that you do, whatever that may be. Here are the couple of red flags. Seven of them, I think I counted up, right off the bat. First and foremost, the initial contact. How did you find the client, or the client find you? Let's say, in this case, you are looking to build a site, and you need help. You found this person to work with you via Craigslist. Now, right off the bat, that's good, bad, and ugly right there. I could stop right there for one big red flag and talk for a half an hour. I'm not going to. The truth of the matter is, Craigslist exists, and it can work, but I do hear more horror stories than happy endings here. I really do. Similar work and quality goes with Fiber. You get what you pay for. I've actually gotten some great clients, a long time ago, out of Craigslist. I rarely advertise my own services there, just because most people who want to hire from there don't have a budget or the type of client I want. You want better clients. You want better general work and levels of income anyways, people who value what you do. Keep that in mind. Right after Craigslist, as far as the place to have the contact, the price. In this case, the client had hired this guy off of Craigslist, initially, to do a video edit. We're not even to the web part of his life yet. He did a video edit, charged him $500. That's not terrible. You figure five, six, seven hours of editing. $50 an hour. Not too bad. The work I used to get, honestly, to do was some screenflow edits and some other light editing I got from Craigslist years ago, and it worked out pretty well. $50 an hour, not so bad. It was okay. That said, just got to be careful, again, on pricing. If it's too cheap, it's too cheap for a reason. Are they going to actually get the work done? Et cetera. That then leads to the next segue here, is the response time. What is acceptable to you, or to them? What's acceptable to you might not be the same to them. They may have other job or jobs, or people paying more money that takes more of their attention. 48 hours? Two weeks? One month? That's not good, if it's one month later and you haven't heard back. That's a problem. Especially if they have your money. I mandate, in my contracts, 48 hour response from both parties. I respond to my clients … Even if I say, “I don't know,” or, “Let me look into that for you, see where we're at with this project, or this element of the project.” I let them know that I got their email, or the phone call, and I will be in touch with them after that. I want them to know that within 48 hours, they're going to know they're going to hear from me. Period. I also have a dormancy clause, which I think I might have mentioned an episode back with David Sparks. I have that so after 25 days, no contact, your project goes dormant, and then to restart it costs $350 for restart fee. Because things change. They have to initial that area on my contracts. Period. Another red flag here. Who owns the site, the domain, the access to everything? Who's the admin on it? Make sure that it is you if you are the owner. Do not let them register the domain, take care of the hosting, et cetera. I've had too many times that I've heard where they get locked out. The client gets locked out for some reason because, of course, the person who has the admin decides to take it upon themselves and lock out the client. You want to make sure you own everything. What else? Oh, this is the other one. Another red flag. In person meetings. If you need them, you should have them. Especially the first time. I think one or two first meetings in person are ideal. The problem I had with this person, with the story that I just recently heard last week, was that the developer wanted to meet late at night in an odd place. Ten o'clock at night on a Thursday. 10 pm, Thursday, at a hookah lounge. I thought that was … That, to me, right there, boom. That's another huge one. That's just weird to me. That's not professional. That does not give me confidence that you are focused on my project. Another one, here, is this. Having a fancy website, or no website, or no references. Having a fancy website with all the bells and whistles doesn't mean you are a reputable company. Having big names as people that you've referenced doesn't count for much if you can't prove the work you've done. For example, the site in question had a reference of CNN, and Sony, and … Was it Time Warner? In a slider. Just because you've watched a Sony produced movie doesn't make them a client of yours. I'm sorry. It's just true. Having a fancy website means nothing. It's easy to make yourself look big by having a nice big website. Keep that in mind. Get references. The takeaway on that one is that you really want to get references. Requiring too much money up front. If someone asks you for all the money up front, or whatever it is, also not the right thing to do. I ask for two hours retainer to start … when I do hourly work for repair work, I need two hours to start. Because an hour goes by really fast. Two hours seems fair. I get to that point where I know I'm coming up to the two hour mark, I'll call the client, or email, “Hey, look, by the way, this is taking longer. This is what else I found when I dug in.” That way I have two hours of the money, and then I start doing the work. Finally, here, no contract. I should have said this before, but honestly, without a contract, you have a problem waiting to happen. If a client or the developer doesn't want to give one, because it's like, “Oh, verbal works just fine,” I have a red flag right there. Because I want the contract for, in primary, to make sure we're both on the same page, so we know the expectations. We know we have a dormancy clause, a restart fee, 40 hour response time. What's the scope of project? No matter how small it is. Unless it's really repair work. In that case the client has found me, in my case, based on referral, based on word of mouth, which is … there's a trust issue. It's really good. I need a contract for anything more than just a couple hours. Period. Simple as that. Again, price. Oh, let me go back to the price real quick. $500 for the video, and then the client said to this guy, “I also need to get a website. I want to change the website. I'm on Wix,” and he wanted to have some more functionality, so he wanted to go to WordPress. The developer said, “Oh, I can do that for you for $250.” That's a problem, right off the bat. That's a red flag. Not to say that you couldn't do a website for $250, but again, I just felt like, “That seems so cheap.” It really does. If it's too good to be true, it usually is, in my opinion, right? Anyway, so we have price, response time, make sure you own the admin, the right to the hosting, the domain, all that information. In person meetings. They should be during business hours, for the most part, in a professional setting. Not at a hookah lounge. Having a fancy website is no indication that you are a quality and reputable as a company. Requiring too much money up front. Also, kind of a gut feeling there. It's one thing to give a deposit, retainer, but to pay all up front? Not great. Not having a contract, like the conversation I had with David Sparks, episode 103. It's kitchensinkwp.com/e103. Contracts are key. They protect you across the board, for both parties. That's most important. I want to make sure that you know. Have a contract. No matter how basic it is, have something in writing. It will protect you down the line. I told this client … this guy, not even a client of mine, just this guy who called me. I gave him 15, 20 minutes of time. My advice to him was, first and foremost, call your hosting company and lock him out. Walk away from the $750 you've invested, and get somebody new. Simple as that. Unfortunately, he's going to have $750 and not a whole lot to show for it. It just makes the rest of us developers, independent, and freelancers, look bad. Lesson learned. Luckily, only $750, not $7,500, not $17,000, et cetera. I've seen clients, I've seen people who have spent a lot more money for really poor quality work and relationships with other developers. There you have it. There's my red flags tips. I hope those help you. I really do. Moving right along, segment three. Tip and Tool of the Week. This week's is interesting. It's called Unit-Conversion. Unit-Conversion.info. It is a website that helps you convert certain measurements. I found it because, I don't know, I was looking to convert … Actually I know what it was … convert letters. Uppercase, lowercase. I was trying to do something with a scripting piece of software I have called Keyboard Maestro. Check the site out. I was kind of digging around. It was pretty interesting, because you can also convert text into Morse code, hexadecimal stuff, time, torque, temperature. Just kind of a neat site. Not really WordPress, of course, related, necessarily, but I just wanted to share kind of a neat thing. Called Unit-conversion.info. Check it out. There you go. Morse code to text generator … translator, excuse me. Hex to text, mortgage payments. There's just a lot of stuff in here, it's kind of neat. It's free. Take a look at it, and I'll put a link in the show notes. Well, that is it. I'm going to wrap it up. If you have any questions, go ahead and send it via email. Adam@kitchensinkwp.com, or use the SpeakPipe functionality of the website. Thanks for listening. See you next week, and go out and do some awesome things on WordPress. All right, buh bye. This episode of the KitchenSinkWP Podcast is sponsored by FreshBooks.